bottom photo credit MysparkelingLife.com/BeckyFry Edits by me. Traveling to LA was one wild ride for me. This year has been such a light winter so I really did not think it would be a big deal traveling to LA for the #JungleBookEvent in April. I woke up slapped back to the reality of living in Central NY. April 5th a snow storm. Yes,that is right! 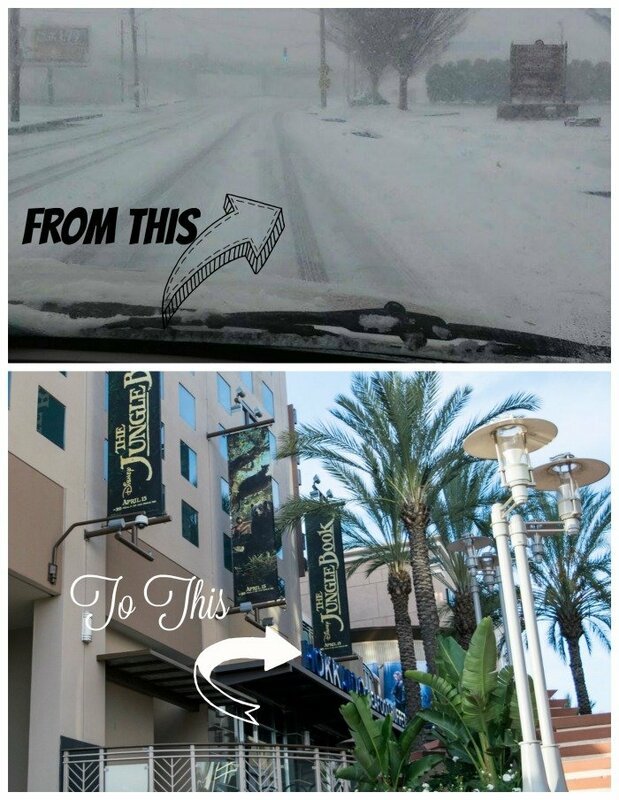 I went from a blizzard to Sunny LA in 8 hours. Between the jetlag, flight delays, and fighting the snow, I was exhausted. The last thing I wanted to do was sit in a hot stuffy movie theater for two more hours after a 8 hours of traveling. Well, let me tell you Dolby Cinema & AMC Prime is no ordinary movie theater. I found that out pretty quick. I have always enjoyed the finer things in life. I am not the type of girl you will see camping out in a tent without electricity and fighting off the bugs. I would rather save up and stay at a luxury hotel with spa treatments or sit by the pool with a mixed drink. Arriving at AMC Prime theaters right after my flight I was immediately impressed. AMC Prime has you covered. You can call ahead and reserve your seat. Grab a bite to eat at AMC Theaters, also get an adult beverage at MacGuffins to enjoy while watching your movie. Once you have your refreshments you head inside the theater to find the most amazing Innovate seating. Reclining roomy chairs with pulse. With the floor to ceiling screen and the surround sound you can not go wrong. What a way to watch The Jungle Book for the first time. I did not think I would ever want to get up. This is truly fine living. 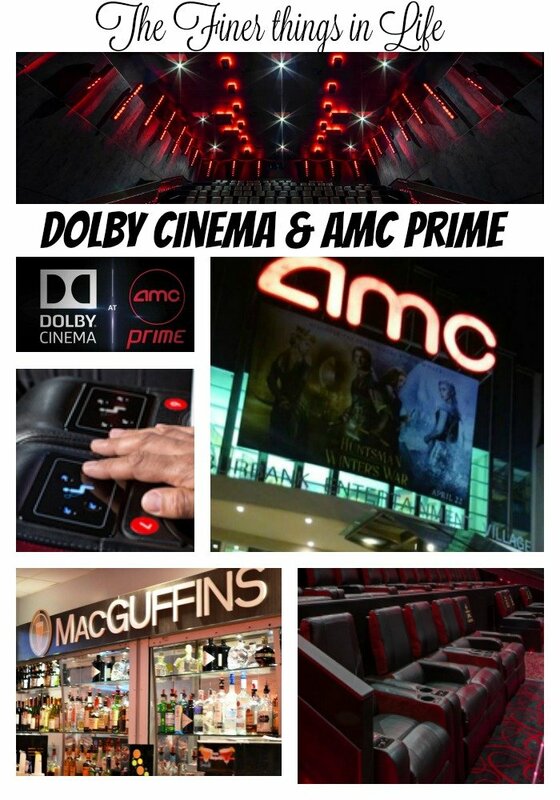 About AMC Prime AMC Prime—AMC’s branded Premium Large Format, and the highest-rated experience offered by AMC according to guest feedback—launched at AMC BarryWoods 24 in Kansas City, Mo., in 2013 and now spans nine locations in major markets around the country. AMC Prime features power reclining seats with seat transducers, Dolby Atmos sound, and an unbelievably crisp and luminous picture deliver the “wow” of sight, sound, and sense. About Dolby Cinema Dolby Cinema delivers the total cinema experience. It combines powerful image and sound technologies with inspired cinema design to make every visit a completely captivating cinematic event. Dolby Cinema will include Dolby Vision—a state-of-the-art authoring and playback imaging technology that enables the cinema to bring the story alive on screen. Outfitted with Dolby Atmos, Dolby Cinema transports audiences into the movie with breathtakingly real sound that fills the cinema and flows all around them. When these technologies are combined with the sophisticated Dolby Cinema design, everything comes together to pull moviegoers more deeply into the story and transform their visit into an event. For more information, please visit the Dolby Cinema web page. About Dolby Cinema Dolby Cinema delivers the total cinema experience. It combines powerful image and sound technologies with inspired cinema design to make every visit a completely captivating cinematic event. Dolby Cinema will include Dolby Vision—a state-of-the-art authoring and playback imaging technology that enables the cinema to bring the story alive on screen. Outfitted with Dolby Atmos, Dolby Cinema transports audiences into the movie with breathtakingly real sound that fills the cinema and flows all around them. When these technologies are combined with the sophisticated Dolby Cinema design, everything comes together to pull moviegoers more deeply into the story and transform their visit into an event. For more information, please visit the Dolby Cinema web page. What a great experience watching The Jungle Book at a Dolby Cinema&AMC Prime. Make sure to visit a AMC Prime near you. 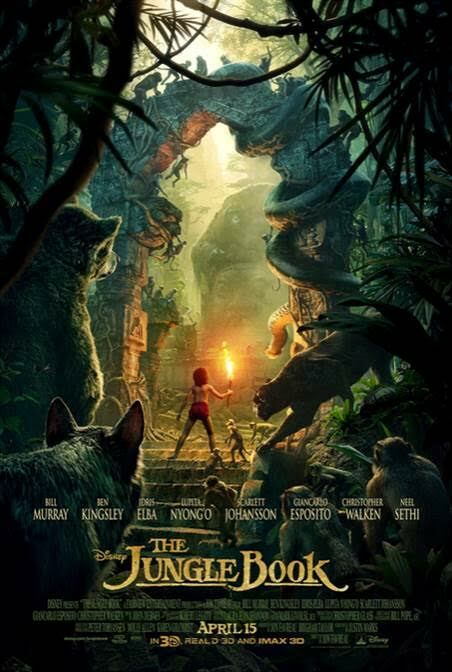 Don’t forget The Jungle Book Comes out in Theaters April 15th. Go watch it at a AMC Theater.